Thank you for visiting us here at Thornapple Farms. 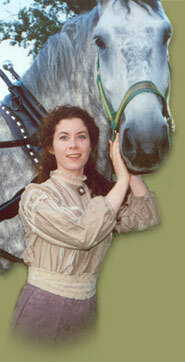 We are one of the leading providers of horsedrawn services in Vermont. No matter where you are located, we are able to travel to you and provide you an elegant and wonderful ride back in time. Call us to discuss the possibilities. 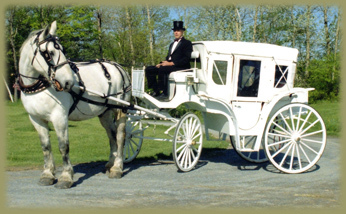 We have a brand new wedding carriage that has three different ways it can be used depending on your desires. Fully enclosed for rainy weather, open with the top up, or open with the top down. It's your day, you decide! View Pictures of the new carriage.